Cardiovascular Risk Screening and Review with Cardiologist - Our doctor will review key indicators for heart disease including medical, physical and family history. Initial interview and review of prescreening information, nutritional diary, activity exercise profile, and other general medical concerns and questions to be addressed. Cardiology Consultation - An individualized cardiovascular risk assessment, to include performance and interpretation of cardiac diagnostic testing as needed. Based on this assessment, cholesterol/lipid management goals and recommendations, blood pressure management suggestions, diet, exercise, and lifestyle modifications will be comprehensively outlined. Advanced Lipid Assessment, Consultation, and Management - This a an individualized consultation with respect to cholesterol and lipoprotein abnormalities with recommendations and options for ongoing management as needed. Genetic Cardiovascular Consultation - This is a specialized consultation with Dr. Robert Superko and is focused on inherited cardiovascular disease and genetic and family considerations. On-site Laboratory Services are available daily on a walk-in basis for comprehensive cholesterol, lipoprotein, inflammatory biomarkers, and metabolic testing with the specialized labs including Boston Heart Diagnostics Lab and True Health Diagnostic Lab. Also, on-site lab services for genetic testing is available at PRIMA HEART including Invitae Lab, Genova, and Innovative Lab, as well as others available. We have certified phlebotomists on-site daily providing efficient blood draws. These are very cost effective and billed to insurances and medicare by the individual labs. Full laboratory Testing including: CBC, Metabolic panel, Thyroid testing, Urinalysis, Vitamin D level and comprehensive cholesterol/lipid profile "including cardiac biomarkers." 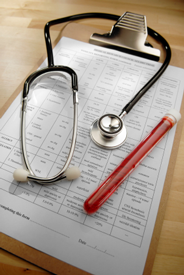 Additionally, selected and individualized genetic testing can also be offered. 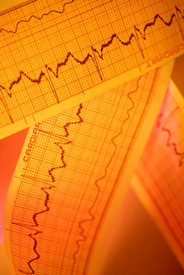 EKG Evaluates for electrical and rhythm abnormalities as an indicator for heart disease. Exercise Stress Test To assess cardiac and blood pressure response to exercise with monitoring of rhythm and EKG abnormalities that may indicate presence of coronary artery disease and other cardiac pathology. CT Calcium Scoring This provides a non-invasive way of obtaining information about the presence, location and extent of calcified plaque in the coronary arteries "the vessels that supply oxygen-containing blood to the heart muscle." This identifies the presence and degree of atherosclerosis and assesses risk of future heart attack and guides the need and intensity of intervention. CT Coronary Angiography A non-invasive coronary angiogram using computed tomography technology to determine if plaque "atherosclerosis" and narrowing is present in the coronary arteries of the heart and aorta. 2D Echocardiography A noninvasive test using ultrasound "sound" waves to assess the hearts chambers, valves, and other structures as well as determine cardiac function. "no radiation exposure". 2D Stress Echocardiography A noninvasive test using "sound" waves as with 2D Echocardiography. This imaging is combined with exercise to assess for obstructive coronary disease or significance of valvular disease. It offers more precise information and accurate diagnoses than a routine stress test because it combines ultrasound imaging with the EKG monitoring of the routine stress test. Carotid Ultrasound A noninvasive test using sound waves to identify atherosclerotic plaque and allowing visualization of the arteries in your neck for narrowing "stenosis", both of which could cause a stroke or transient ischemic attack "TIA." Holter and Event Monitor A portable device for continuously monitoring the electrical activity of the heart for 24 hours or more. Its extended recording period is used for observing occasional cardiac arrhythmias that would be difficult to identify in a shorter period of time. Ambulatory Blood Pressure Monitor "ABPM" monitoring which measures blood pressure at regular intervals throughout the day and night. Ambulatory blood pressure monitoring allows blood pressure to be continually monitored during daytime activities as well as at during sleep to determine whether or not blood pressure falls at night compared to daytime values. Nocturnal hypertension is associated with end organ damage and is a much better indicator than the daytime blood pressure reading. Nuclear Stress Testing This test is performed in conjunction with an exercise stress test. It is offers more precise information and accurate diagnoses than a routine stress test because it combines nuclear imaging with the EKG monitoring of the routine stress test. A radioactive material is injected which creates images of your heart muscle on a screen. This assists in detecting inadequate blood flow to any part of your heart which would mean that there is significant narrowing or blockage of a coronary artery. Bilateral Venous Ultrasound A non-invasive ultrasound test to look at the veins in the legs. This test may be done as an alternative to more-invasive procedures such as arteriography and venography. It may help diagnose many conditions, including: Blood clots, poorly functioning valves in your leg veins, which can cause blood or other fluids to pool in your legs "venous insufficiency." Arterial Ultrasound A non-invasive ultrasound test to look at the arteries in the legs. This test may be done as an alternative to more-invasive procedures such as arteriography and venography. It may help to diagnosis a blocked artery or decreased blood flow "poor circulation." Screening Pulmonary Function Test A simple screening for that measure the function of the lungs and can determine the cause of shortness of breath and may help confirm lung diseases, such as asthma, bronchitis or emphysema. Magnetic Imaging Resonance "MRI" / Cardiac or Carotid Imaging "CT" These tests provide detailed images without radiation that detect early cardiovascular disease even before there are symptoms. MRI can be utilized to see cerebral occlusions and coronary artery disease, valvular heart disease, and other pathology of the heart with high definition resolution. A comprehensive summary to include all consultations, reports, test results, imaging, ancillary diet/nutrition, and fitness assessments, will be provided. Specific recommendations and goals, including cholesterol/lipid targets and follow up will be outlined. The PRIMA HEART preventive program also offers a preventive health effort for individuals and companies locally and for outside the region. A several day program includes a comprehensive cardiovascular exam, selected and personalized testing and imaging, and guidance by our team of specialists, with final review and recommendations with the PRIMA HEART cardiologist. With the unique beauty of the area and its recreational and resort appeal, a world class location paired with a state of the art facility offers an optimal opportunity focused on an individual's cardiovascular health and preventive intervention. Call or email for a cardiac assessment and diagnostic screening. COPYRIGHT © 2012 - PRIMA HEART. ALL RIGHTS RESERVED.